← Lakeland Host the CD Mingles/Singles. Sent along by Glenn Monroe. Erik Hahmann Speaks: The St. Petersburg Shuffleboard Club is delighted to host to the Pro (P03A) Mixed Doubles and Amateur (A01) Any Doubles on October 15 and 16 – the club’s first state tournament in over a decade! We’re looking forward to welcoming both old and new friends to kick off the 2018/19 shuffleboard season in what promises to be an exciting event for all. For those who haven’t visited us, we’re located directly off of the interstate. No lights or street traffic to deal with. 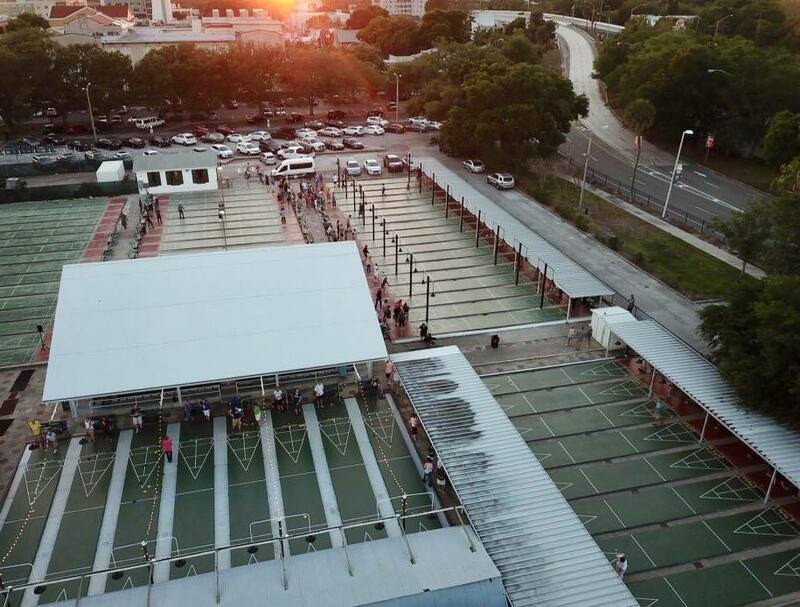 As well as having the opportunity to see recent improvements to the almost-100-year-old St. Petersburg Shuffleboard Club (like an air conditioned clubhouse), players will enjoy an exciting roster of competitors. St. Pete will welcome some of the sport’s top players, from Roll of Champions men and women to all three 1000-point Green Jacket Masters. See the best of the best and root for your favorite. Thanks to our generous sponsors – The Tampa Bay Rays, Gary L. Heller Dermatology Research Cosmetic Center, and The Princess Martha – there will be a prize fund of over $2,000. While players can bring their own lunch, additional options will be provided by the The Princess Martha’s culinary team for $6 per person. Time: Registration starts at 8:00 AM. Both tournaments begin promptly at 9:00 AM.